MB&F has finally unveiled its first timepiece in an exotic material, the HM5 CarbonMacrolon in polycarbonate resin reinforced with carbon nanotubes, a dense and hard material that looks and feels like steel. 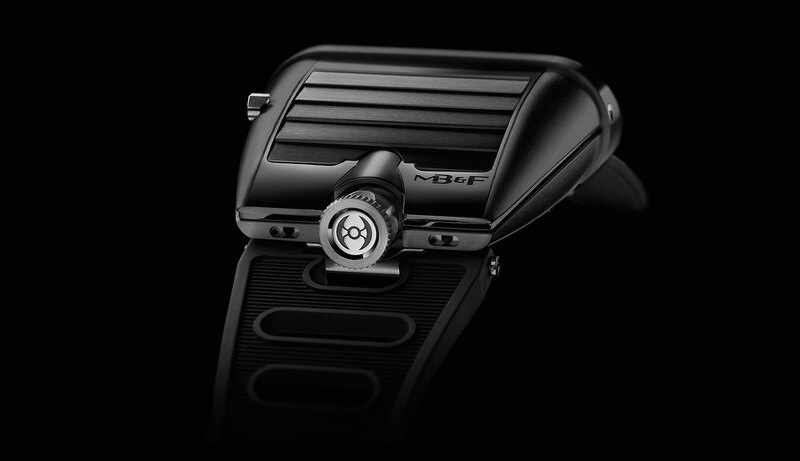 Though MB&F has made black coated timepieces in the past, they were made of traditional alloys like titanium and gold. Now for the first time the brand has turned to alternative materials of the sort popular with its peers with the HM5 CarbonMacrolon. 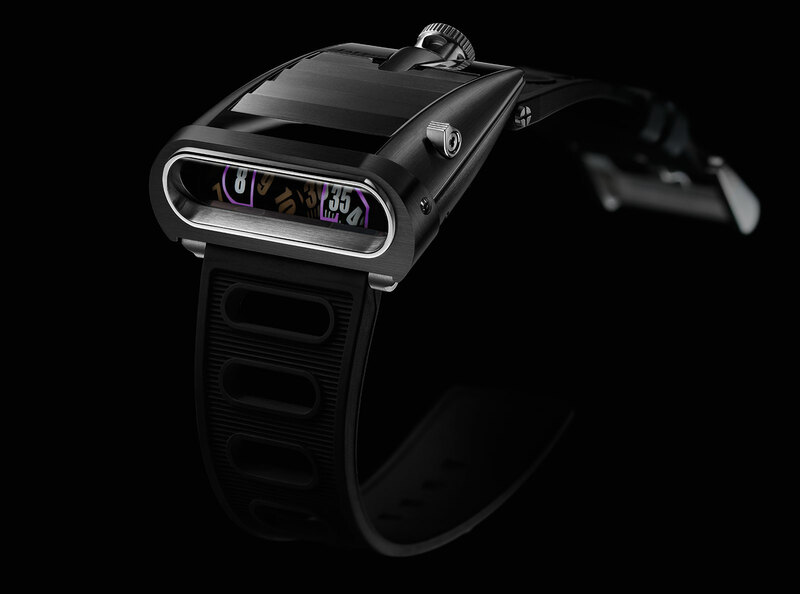 Inspired by the seventies Lamborghini Miura and styled as the driver’s watch of the future, the HM5 is now available in polycarbonate, a hard plastic also known as Makrolon and used to layer bulletproof glass, strengthened with carbon nanotubes. Carbon nanotubes are microscopic cylindrical structures of carbon that are light and strong, versatile enough for uses as varied as batteries and body armour. 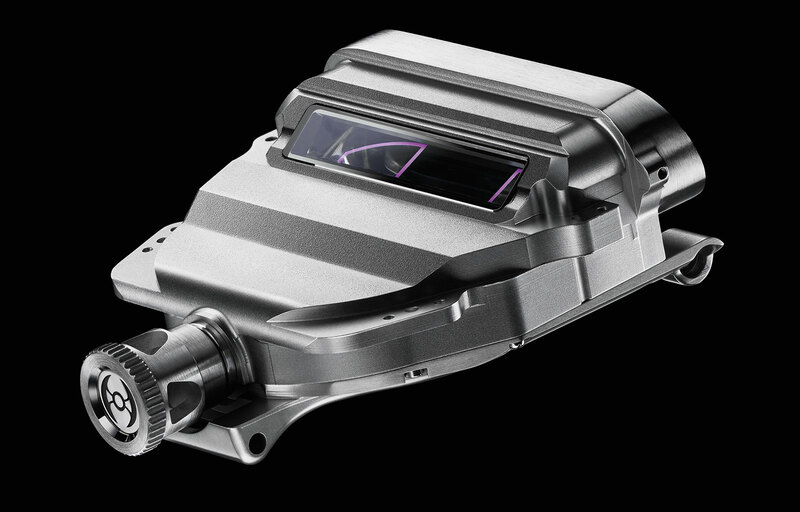 That being said, the polycarbonate and carbon nanotube material used for the HM5 CarbonMacrolon is actually dense and weighty. Developed by a materials specialist, the case material is looks and feels like a metal alloy with a coating. And because it is a black material, rather than a black coating, it will not suffer delamination – a problem common with coated cases where the hard coating peels off due to impact. So the case is finished just like a steel case, with brushed and contrasting mirror finished surfaces – an unusual treatment for a case in a synthetic material. In terms of size the HM5 CarbonMacrolon is identical to the earlier HM5 variants, measuring 51.5 mm by 49 mm and standing 22.5 mm high. 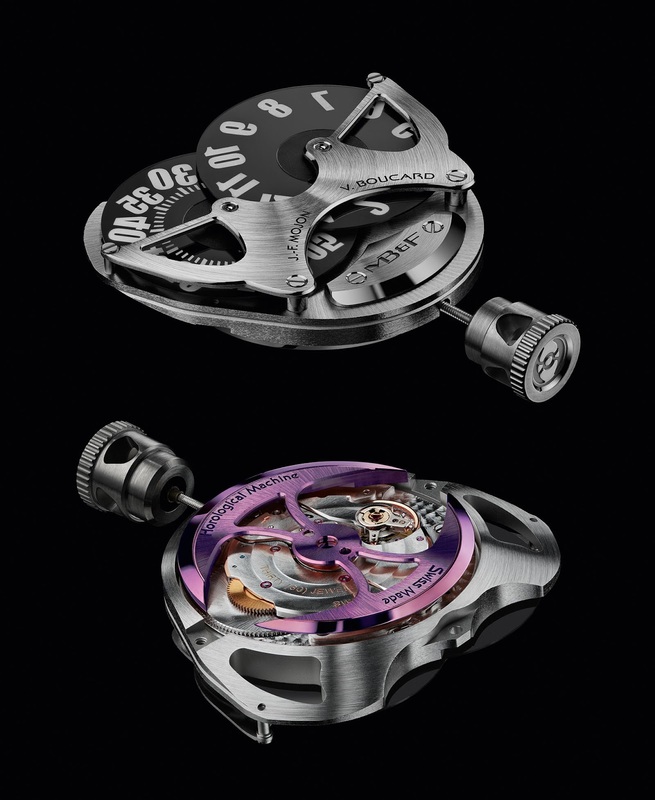 The case construction is also identical, with an inner steel capsule containing the movement. The movement is the same as before, with a jumping hour and minutes displayed on a crystal prism. Though the time display is actually flat, on the same plane as the movement, the sapphire prism reflects it onto the vertical time display. Developed by Jean-Francois Mojon of Chronode, the time display module features a bidirectional jumping hour, meaning it can be set both backwards and forwards. The base calibre is the Girard-Perregaux 3300, found in most Horological Machines. 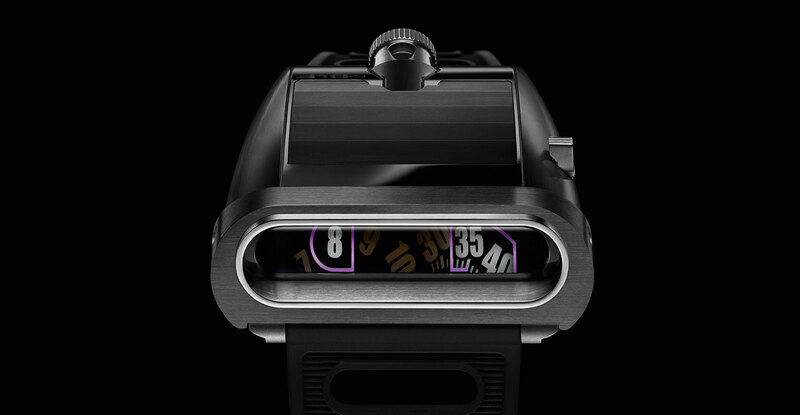 Limited to 66 pieces, the HM5 CarbonMacrolon is priced at 58,500 Swiss francs, or about US$62,600, exactly the same as the first edition HM5 in zirconium.